My metabolism is not what it was 20 years ago, and I’ve realized I cannot eat all of the things without seeing and feeling the effects. The scale, and my jeans, don’t lie. Despite my active lifestyle and commitment to an exercise routine, I have had some stubborn areas that just kept sticking around. My metabolism is not what it was 20 years ago, and I’ve realized I cannot eat all of the things without seeing and feeling the effects. The scale, and my jeans, don’t lie. Despite my active lifestyle and commitment to an exercise routine, I have had some stubborn areas that just kept sticking around. After consulting with the professional team at CosmetiCare, we decided that Coolsculpting could address those areas that would not respond to diet and exercise. 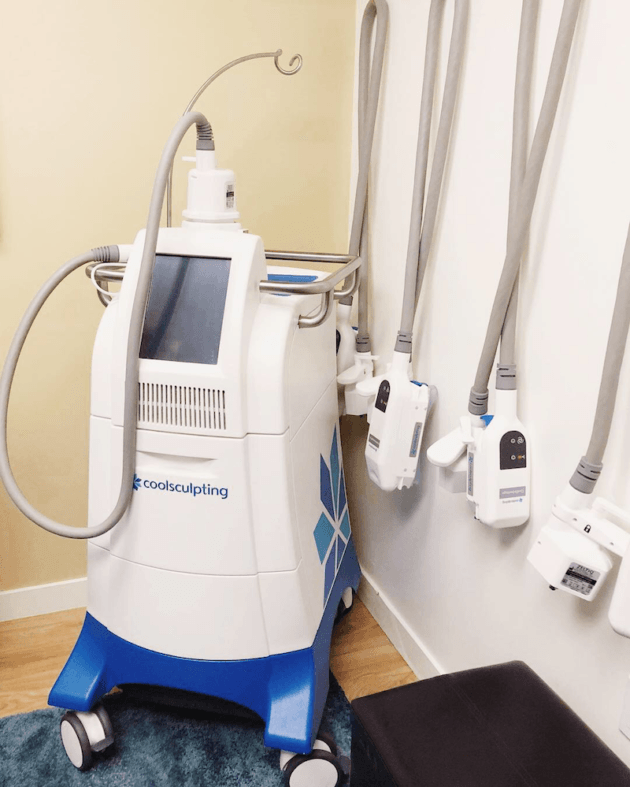 I previously shared information on the procedure, including What is Coolsculpting, Deciding Between CoolSculpting or Liposuction, and What to Expect During Coolsculpting. I am excited to share with you my Coolsculpting Before and After experience, to answer the question as to whether or not the procedure works. Because everyone’s body is different, it is important to choose a provider who will provide a personal consultation to evaluate whether or not you are a candidate for Coolsculpting and explain the types of results you might expect. Coolsculpting is FDA-approved to treat visible fat bulges in the submental and submandibular area (underneath the chin and jaw), thigh, abdomen, flank (aka love handles), bra line, back, upper arm, and underneath the buttocks. This non-invasive procedure uses controlled cooling to eliminate fat and can be performed in an hour or less at a doctor’s office. Coolsculpting is FDA-approved for the non-surgical elimination of fat with little to no downtime. The technology safely delivers precisely controlled cooling to target fat cells underneath the skin without affecting the skin itself. Coolsculpting results may not be seen for several weeks. After the fat cells are frozen, the body naturally processes and then eliminates the dead cells, resulting in a more sculpted appearance of the area treated. While results are proven, noticeable, and lasting, it could take 3 weeks to begin seeing results. The most dramatic results can be seen within 2 months of treatment. It is important to note that the body continues to eliminate those fat cells that were destroyed for up to 4-6 months following treatment. It was important for me to understand what types of results I could expect before beginning Coolsculpting. Rosie, the clinician at CosmetiCare, explained that more than one treatment was recommended in order to achieve the results I desired. I wanted to sculpt and shape the flank area, an area I opted not to treat last year when I had a tummy tuck. We decided that 2 cycles on each flank (for a total of 4 cycles) would provide noticeable results. I honestly did not know what to expect, and in the early weeks, I would look at myself in the mirror daily to see how my body was changing. Over time, I noticed less bulges in my flank area and a more sculpted appearance. I like the subtlety of my results because it doesn’t appear to most people that I have had anything done. Where I find it most noticeable is when I’m wearing fitted clothing, workout attire, or a swimsuit. My jeans, in particular fit much nicer than they did before Coolsculpting and I feel even more confident wearing a two-piece swimsuit now that my love handles are less noticeable. 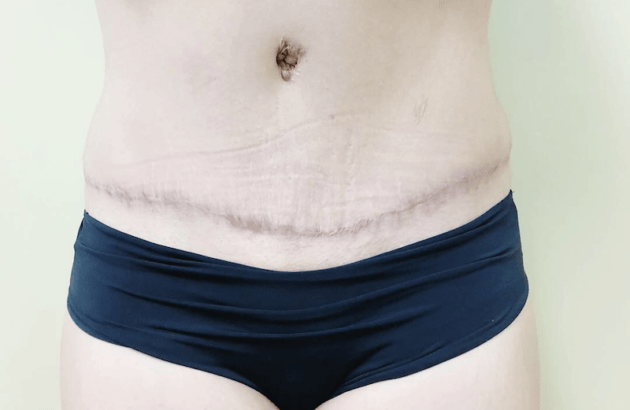 If you plan to treat your areas of concern with Coolsculpting, I highly recommend taking photos before, during, and after the procedure so that you can see just how dramatic the results are. Because of the safety profile of Coolsculpting, I plan to treat my flank area at least one more time, and then explore the possibility of treating other areas that concern me. Because Coolsculpting is safe and non-invasive, it is a procedure that can be done at any time or stage of life. Have you considered CoolSculpting? Save 10% off all medspa treatments at CosmetiCare by using the code Caryn100. Visit CosmetiCare to receive a free consultation.